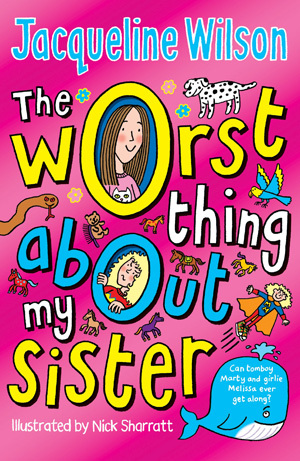 Jacqueline Wilson is back with a brand new story all about having a troublesome sister! 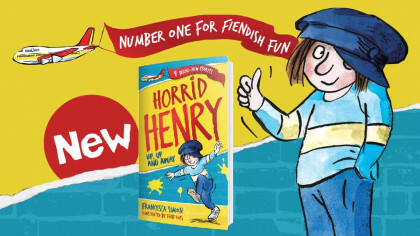 In the book you follow Marty and her sister Melissa, who couldn’t be any more different! Marty lovers her Converse trainers, playing football, hiding in her secret den and helping her dad with his DIY. But Melissa loves Justin Bieber and all things pink, girly and pretty. The sisters can manage to live together, despite their occasional scraps. But then Mum tells them they have share a room! For Marty, having to share her bunk beds and lose her private sanctuary turns out to be the very worst thing about having a sister. But the girls soon discover that being too close for comfort can have unexpected consequences, and when an accident happens, the sisters realise they’re closer than they thought!